A good opportunity for the long hitters to gain an advantage as the fairway slopes downhill the farther you can hit your tee shot. 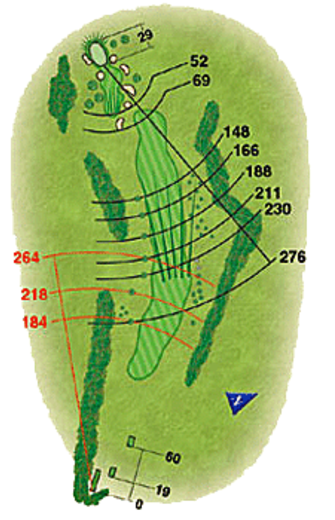 Keep tee shot to the right to avoid fairway bunkers. The approach to this green is littered with bunkers which will leave an awkward length bunker shot. A flat green however can deliver a birdie or two.